Every year, right around springtime, we get hit with the big statewide test. To balance all of that stress out, I usually do fun activities in the afternoon. I load up on bunches of springtime candy such as peeps and jelly beans, as well as, some household items like vinegar, detergent, eggs, food coloring, salt, etc. Then we use those items to do lots of fun experiments! You can get the booklet with all of the instructions, recording sheets, and supply list here if you’d like. There are 6 experiments total. 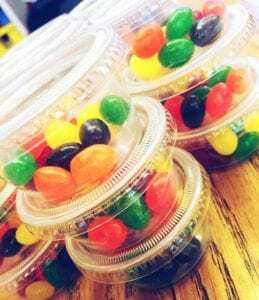 For this activity, I prepare a small container of various flavored jelly beans (2 of each flavor) for each student. 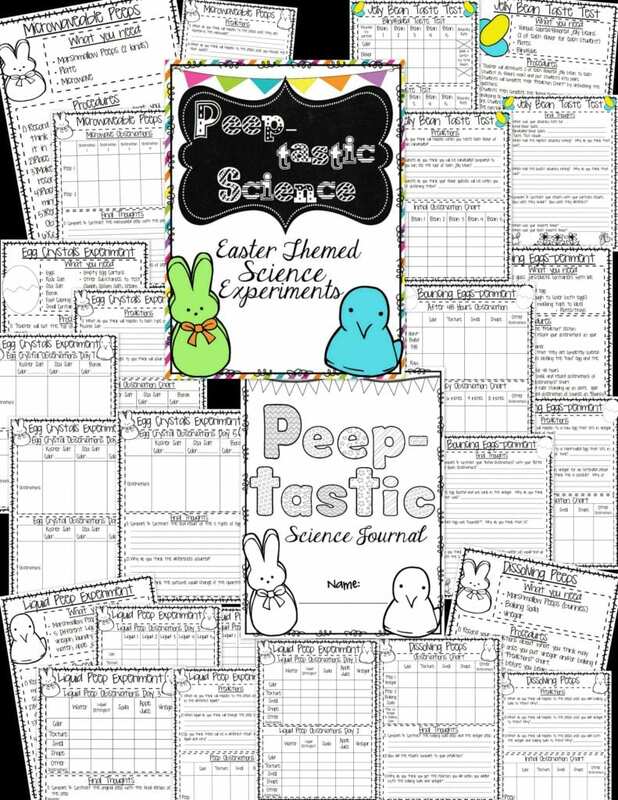 That’s all you really need but if you’d like the pages I used you can get them here: Peeptastic Science! First students answer some prediction questions about what they think will happen in the experiment. 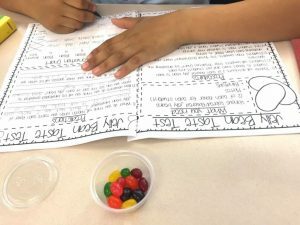 Next students observe the jelly beans and record their observations in their notebooks. They take notes on color, shape, texture, etc. Then, the fun part comes in! Students are partnered up and one at a time cover their eyes and taste each bean. Their partner records their flavor guess for them into their notebook. Once they are done, they switch and then the other person does the same. After the blindfolded part is over, they then take another taste test with their eyes open and record those results. Once the experiment is over, students reflect on their data. I have them figure out their accuracy percentage for blindfolded vs. eyes open results. 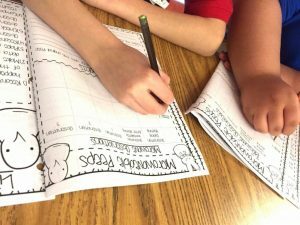 Then they answer some open ended reflection questions in their notebooks. Another experiment that we do is to blow up some peeps! Don’t worry! We just used a microwave. 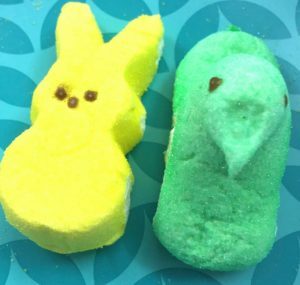 😉 All you need for this are two different types of peep for each group, a plate, and a microwave. 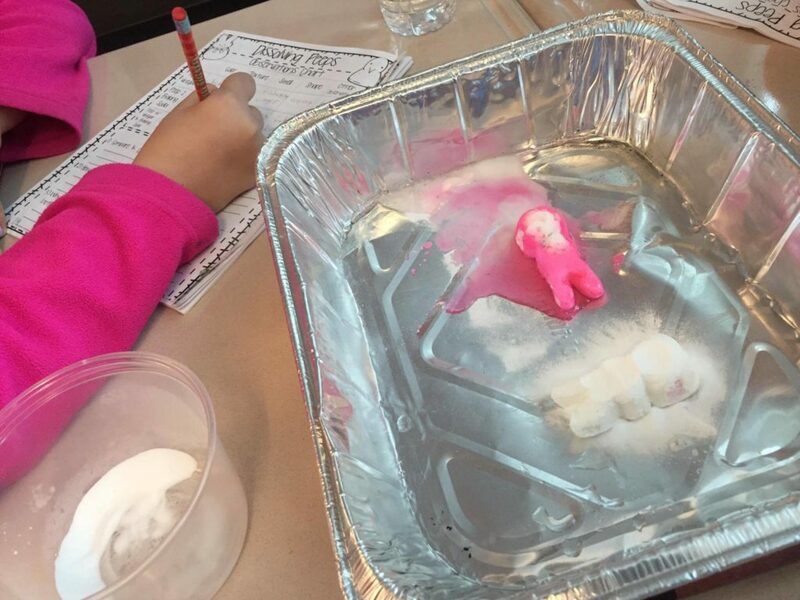 Students make predictions about what they think with happen to the Peep if we put it in the microwave for 30 seconds. They record their predictions and then I give each groups two different types of Peeps: one chick and one bunny. 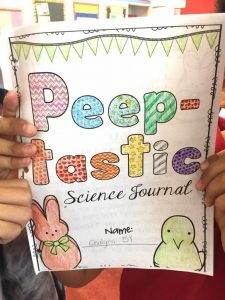 They make observations about the Peeps in their present form and record them in their notebooks. Then I bring each group, one at a time, up to my small group table where I have the microwave. 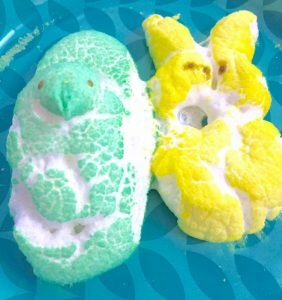 We put the peeps in the microwave and observe what happens. Then students head back to their desks to record their observations and answer their reflection questions. This is always a class favorite! 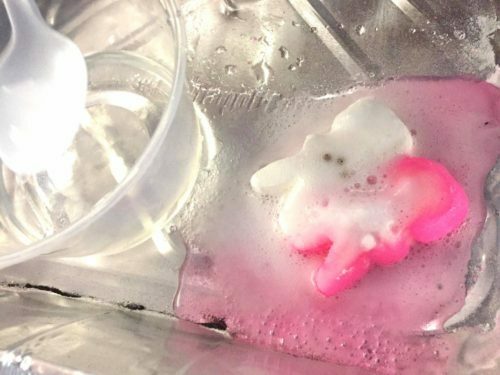 For this experiment you will need: a tray of some sort that can hold some liquid, two peeps for each group, a plastic spoon, vinegar and some baking soda. 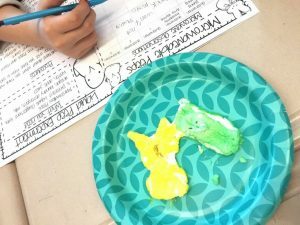 I have students make predictions about what they think will happen to their peep if they put baking soda on their peep and then what they think will happen if they then add vinegar. They record all of this in their notebooks. Once the have read over the procedures, I have them begin the experiment. While, they are completing the experiment I have them record their observations as they go. The y will want to do this one over and over again! After they have all had a turn to test the reaction, they complete the reflection pages together as a group. All answers must be in complete sentences. This is great practice for them. 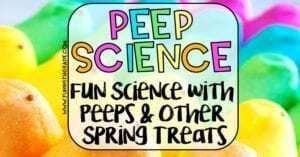 There are 3 more experiments in the pack; Liquid Peeps, Bouncing Eggs, and Egg Crystals. 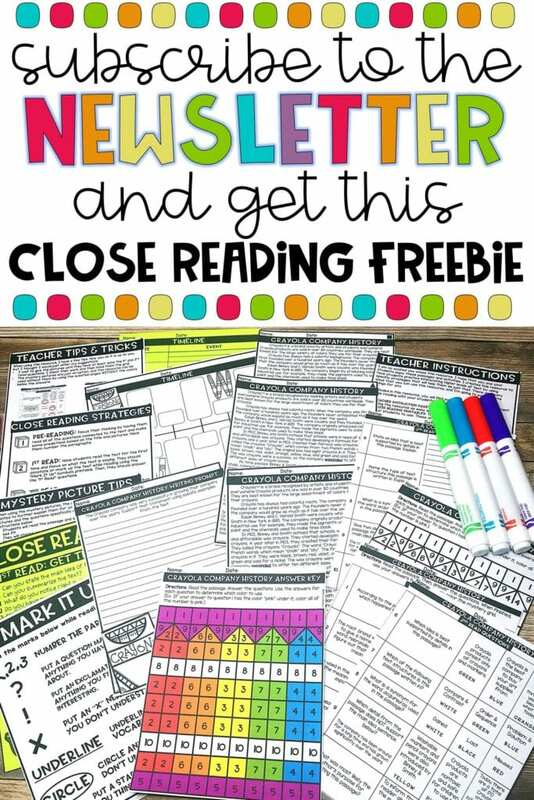 You can get those and all of the experiments above by visiting my TpT store. Each experiment comes with a page listing the supplies need and the procedures for the experiment, prediction questions for the students to answer before they complete the experiment, a place for them to record any observations during the experiments, and reflection questions they must answer about the data that they found. Get the full pack here.